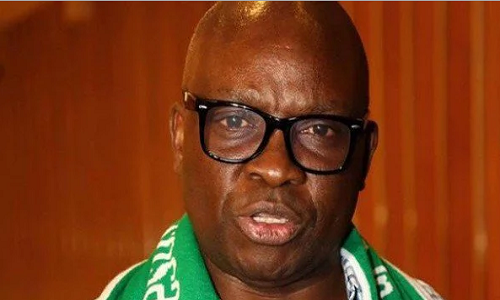 Fayose made this known yesterday in an angry reaction to the arrest of some men, who allegedly aided and abetted the governor in laundering part of the cash taken from the office of the former National Security Officer. The men were said to have been arrested and detained by the Economic and Financial Crimes Commission on Monday in Lagos. One of them, whose name was given as Abiodun Agbele, was reportedly picked up at a location in Lagos while trying to doctor vital documents relating to some property he had bought for the embattled governor. Economic and Financial Crimes Commission Spokesman, Wilson Uwujaren, confirmed the arrest but did not give further details. “It is true that we arrested some men who were fronting for governor. They are in our Lagos Office. That is all I can say for now,” Uwujaren said last night. But it was learnt that some officials of a bank, which the governor said had helped him with funds to run his election, were also picked up and moved to Abuja by the operatives of the commission. Agbele, according to EFCC sources had been on the watchlist of the commission in the past week following discovery he was the arrowhead in the receipt and laundering of huge sums of money from a former Defence Minister, Musiliu Obanikor, who has since denied doling out any money to the Ekiti governor. But the arrest of Agbele and others has not gone down well with Governor Fayose, who reacted angrily to the development last night. In a statement by his spokesman, Lere Olayinka, the governor chided EFCC for arresting his aides without first inviting them for questioning. “Our attention has been drawn to the arrest of Mr Abiodun Agbele by the EFCC and we wish to say that we encourage the EFCC to carry out its investigations without politics as it is being done now. “It must be pointed out that at no time was Mr Abiodun Agbele invited by the EFCC, and if he had been invited, he would have honoured the invitation. Therefore, there is nothing to celebrate in his arrest if it is not political. “As already pointed out, Governor Ayodele Fayose does not have anything to do with any fund from the Office of the National Security Adviser (ONSA). “Also, the person said to have been arrested is an adult and will defend himself when the time comes. Subjecting him to media trial as EFCC has been doing since the inception of this government will only give our adversaries momentary sense of joy. anti-corruption agency will be civil enough to allow an open and transparent trial in competent court of law and not media trial justto get at Governor Fayose because of his uncompromising stance against the misrule of the APC/Buhari led federal government.